Adam Weiderkind enrolled at Northwest Iowa Normal College in the fall term of 1925 as a major in English; his home is listed as “Odebolt, Sac Co.” where his parents farmed. 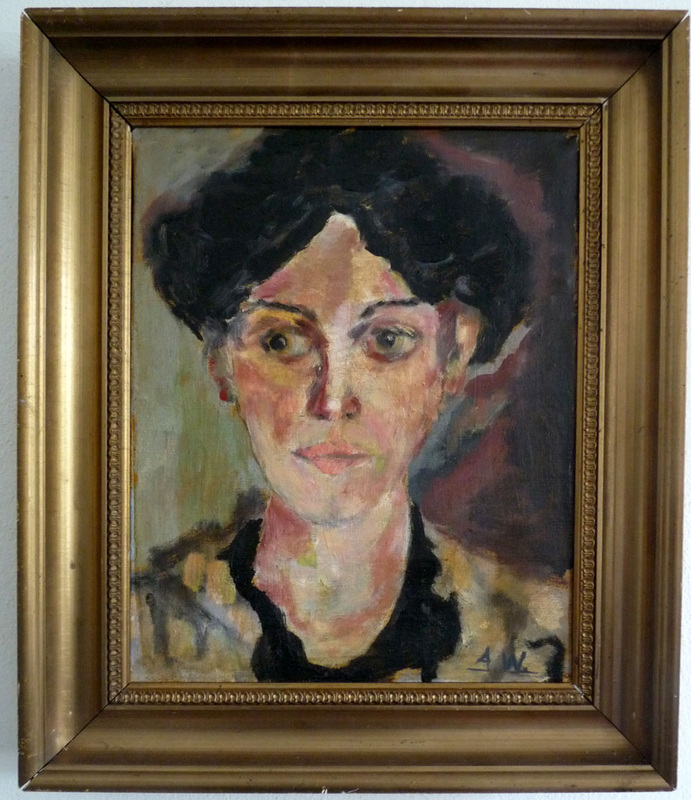 During his junior year Weiderkind took Carl Wasserman’s studio painting class and produced this portrait of his mother, one of the exercises required in the course curriculum. Enrollment at the college was small in the 1920s and the studio probably accommodated students at various levels of both competence and interest. So as a non-major, Adam may have profited from working near older and more experienced students. His style in this case seems to have been drawn from German Expressionism. Several examples of student work were discovered during a 1970s renovation of the old Art Barn at the western edge of campus and donated to the Community Collection. By agincourtiowa in Landscapes & Livestock, Uncategorized on Thursday/19/March/2015 .